Summer can be brutal around here, with the constant 90+ degree temperatures and the 10,000% humidity, it’s like taking a bath when you walk outside. Gross. But! 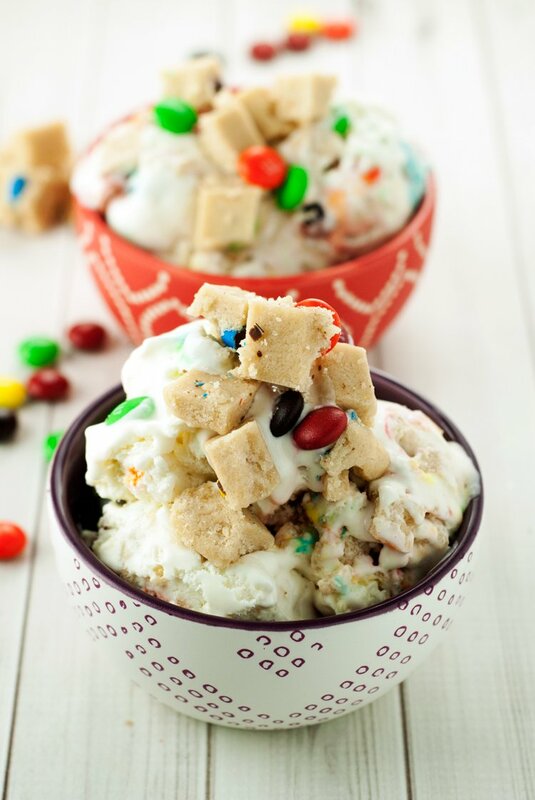 It’s a great excuse to make this super simple No Churn M&M’s® Cookie Dough Ice Cream. You know I love my cool treats, like my orange sherbet and blueberry mint sorbet! Cool down in delicious style is my motto. I mean, if I had motto, that’s what it would be. Delicious Style. Mmhmm. 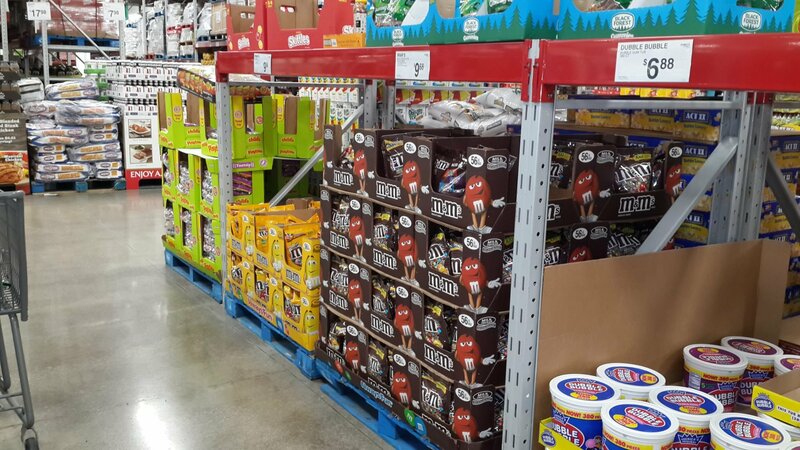 I picked up some XXL bags of M&M’s® Original and M&M’s® Peanut from Sam’s Club so I can keep the treats rolling all summer long. 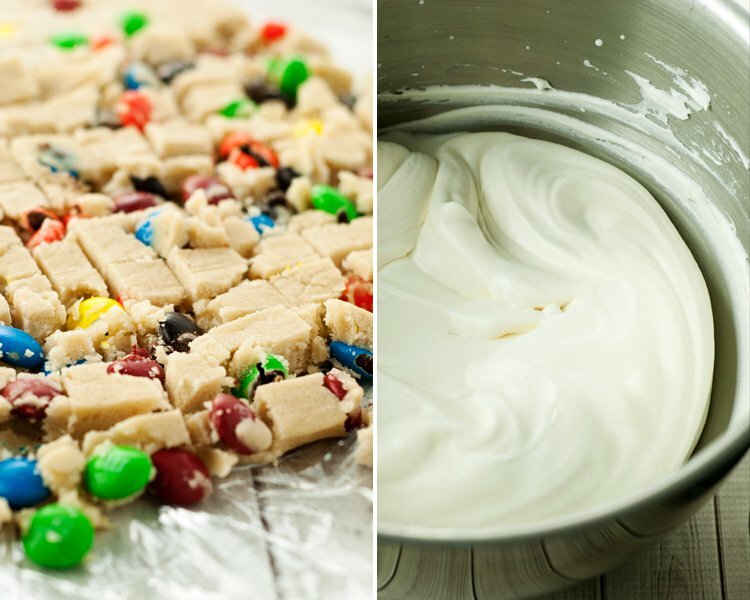 If I’m not making some no churn M&M’s® cookie dough ice cream, I’m making a piñata cake, or bundt cake, or cupcakes! 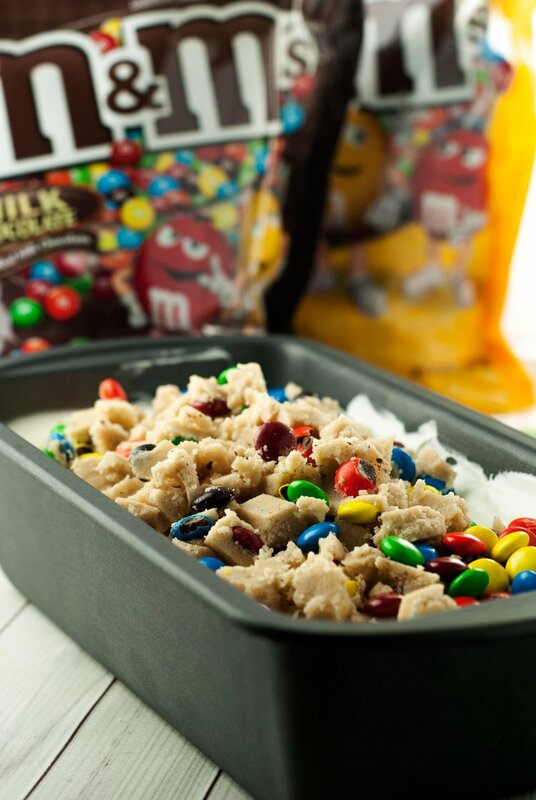 I have plenty of M&M’s® to share, so it’s a party at my place! WOO! What I love about this ice cream is how dang simple it is. Only four ingredients to make the ice cream itself, and the dough is beyond easy, it’s pretty much impossible to screw up. I take a couple cups of heavy cream and whip it up until it’s thick and stiff, then fold in some sweetened condensed milk and vanilla, then scoop it in a pan and pop it in the freezer. 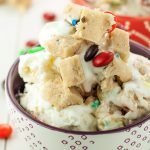 I usually add the cookie dough after a couple hours to be sure they don’t all sink to the bottom, but the ice cream is so thick already, I think you would be safe to add it right away without worry. I’m just a worrywart. 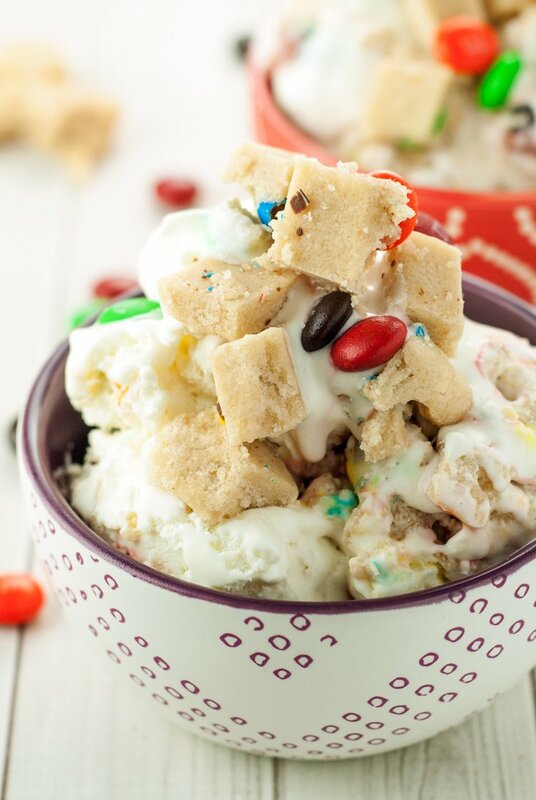 Are you ready to make the creamiest, most delicious-est, nomilicious no churn M&M’s® cookie dough ice cream?! M&M’s® for daaaaaaaaaaaaaaaaaaays, you guys! Make sure you grab an XXL bag of M&M’s® Crispy too! In a large mixing bowl, cream the butter and sugars. Stir in the vanilla, then the salt and flour until just combined. 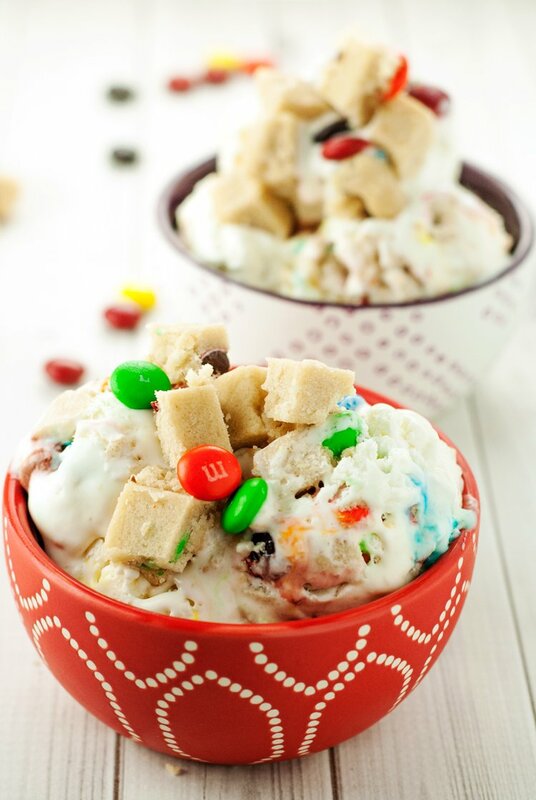 Add the M&M'sÂ® and stir. Turn the dough out onto a large sheet of plastic wrap and press into a slab around one inch thick. Wrap up in the plastic wrap and place in the fridge until cold and firm, then cut into tiny cubes. In a large mixing bowl with a whisk attachment, whip the heavy cream until thick and stiff, around 3-5 minutes, depending on the mixer. Gently fold in the sweetened condensed milk and vanilla until thoroughly combined. Mix in the cubes of cookie dough, then pour into a 9x5 loaf pan and freeze overnight. 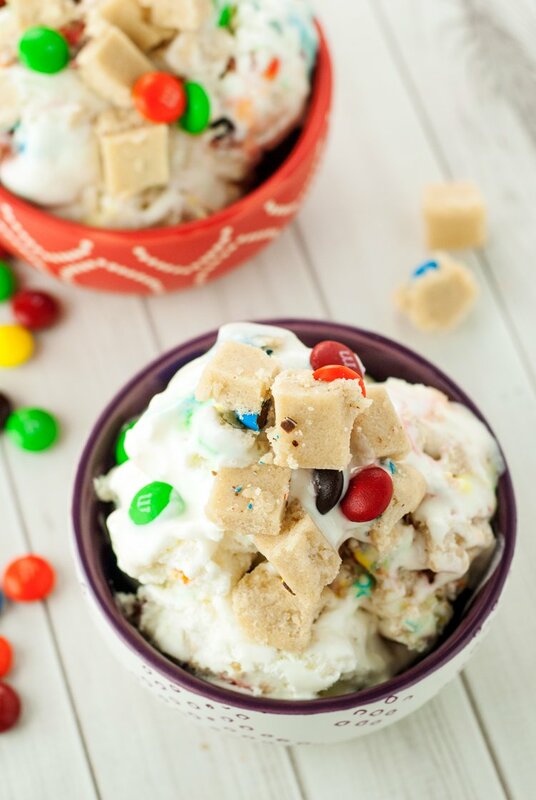 Can't beat ice cream and M&Ms! This recipe looks absolutely yummy. Thanks for linking up on the #HomeMattersParty this week. Hope you will come back and link up again next week. 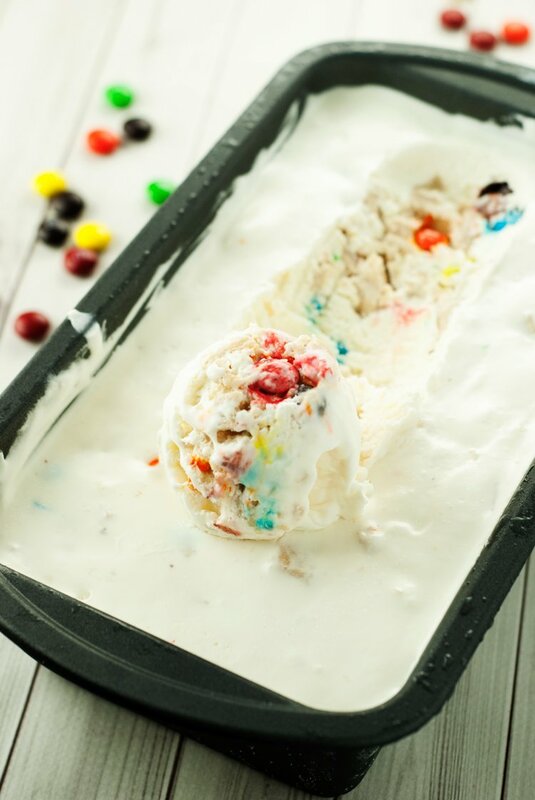 Love this ice cream - looks festive and delish! Oh my gosh my kiddo would love this! Yum. Pinned & shared. Thanks for joining the Inspiration Spotlight Party. Hope to see you again soon.